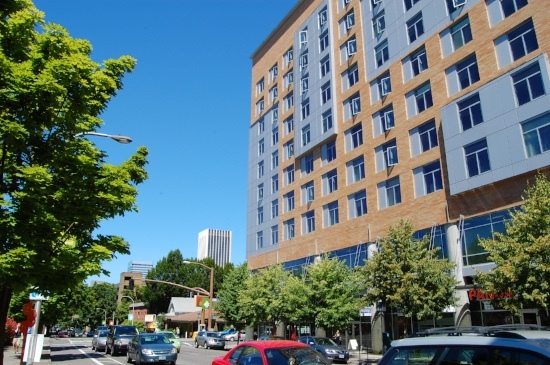 We have been able to secure limited housing for out-of-town participants through Portland State Summer housing at great rates. Rates will be $30-$34/night/person based on double occupancy. Rooms have their own bathroom and kitchenette. Portland State cannot hold a specific number of rooms for us. There are plenty now but you must sign up asap to be assured to get in. We will try to have instructions for signing through the PSU site within the next week. Full rooms (2 people) need to be rented so if you need to be paired with a roommate, contact us.